Jennifer's 365 Project: 2131/365 - State Of The Union Bingo! 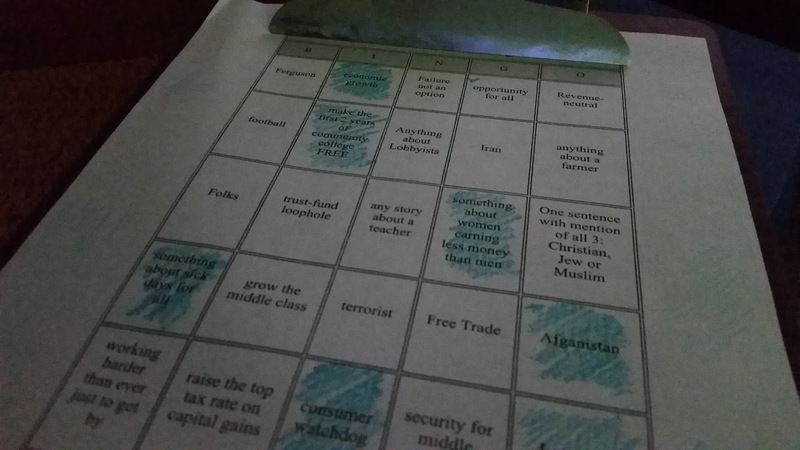 We watched the Michigan State of the State and then later the State of the Union address and played some bingo. Since both speeches are pretty formulaic and generic on a lot of stuff, it's fun to liven it up with a game.